Request a referral from your healthcare provider. Once received, our staff will contact you for an appointment. Please contact the office where you would like to receive services. Leave a message and our staff will be happy to contact you for an appointment. Emma S Cosby has practiced in the mental health field for 21 years serving individuals of all ages, but specializing in work with adolescents and families. Dr. Cosby obtained a Doctor of Behavioral Health from Arizona State University in 2012, a Masters in Social Work from the University of Alabama in 1996 and a Bachelors in Psychology from Birmingham-Southern College in 1994. Dr. Cosby is licensed through the Board of Social Work Examiners as a Licensed Clinical Social Worker and Private Independent Practitioner. Dr. Cosby has practiced in a variety of settings including intensive residential care for adolescents, outpatient mental health and therapeutic foster care. Specialty areas include patients with comorbid medical illness and mental health disorders as well as trauma and trauma related illness. Dr. Cosby has been trained in Eye Movement Desensitization and Reprocessing (EMDR) as well as advanced training in couple’s therapy and blended family issues. Dr. Cosby serves individuals at Covington Pediatrics (for Covington Pediatric patients only) and at Cosby & Cosby at 109 Medical Park Drive. Dr. Cosby accepts most insurances. Brent Cosby, M.S. is a graduate from Troy State University with a Master's Degree in Psychology and Counseling. Mr. Cosby has practiced in a variety of settings over his 23 year career including: department of youth services residential, director of day habilitation for adults with intellectual disabilities, intensive residential treatment for adolescents, director of day treatment for child and adolescent, and vocational rehabilitation. Mr. Cosby is a renowned and highly recognized speaker for his expertise in developing and operating programs in the areas of child/family mental health, family planning, behavior modification, juvenile justice and child welfare. He is a certified parenting instructor and is trained in Eye Movement Desensitization and Reprocessing (EMDR) therapy. Mr. Cosby’s specialties include couple’s therapy, working with out of control teens and their respective families, and public speaking/training at local and wide scale professional forums. 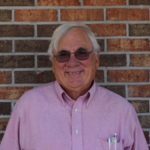 Fred George Ph.D. is a clinical psychologist in private practice in Enterprise Alabama who has been in practice since 1975 after serving four years as an active duty psychologist at Lyster Army Hospital at Fort Rucker. He is a graduate of the University of Pennsylvania and the Ph.D. program at the University of Texas in Austin. (And has been registered as an Irregular Post Graduate at the University of Alabama). His practice has included assessment and treatment of children, adolescents and adults including performing several disability evaluations a week since the 1970’s and several vocational rehab evaluations a month since the early 1980’s. His clinical practice has centered primarily on children and adolescents since the early 1980’s. Although this has included the full range of mental health difficulties, primarily it has involved evaluation and treatment of those with ADHD and ADD and all of their attendant problems. In the last several years Dr. George has limited his practice to evaluation and feedback of preschool and school age children, of teenagers, of adults with ADHD, evaluations for Vocational Rehabilitation Services, and supervision of Mental Health Professionals’ Medicaid patients. He is changing his focus to passing on lessons learned (usually the hard way) which he is calling: Passing it on: Workshops and Consultation. Dr. George has presented workshops since beginning his practice in ADHD/ADD, evaluating and treating behavior, mood, learning, and emotional problems in children and adolescents, stress management, Thirty Five Years In The Private Practice Of Psychology: Lessons Learned and mental toughness. His most recent workshops were “ Thirty Five Years In The Private Practice Of Psychology: Lessons Learned in the Assessment and Treatment of Emotional, Mood, Self Control and Attention Problems of Children and Adolescents”. 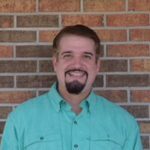 Dr. George is married to Leslie who has been the spouse and child abuse social worker at the Family Advocacy Program at Lyster Army Health Clinic at Fort Rucker for the last twenty years until recently retiring. She is planning to go into part time private practice. 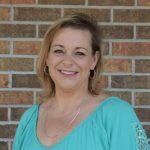 Prior to that she worked as a child protection worker and supervisor and a community resource specialist at the Department of human resources at Coffee and Dale County. He and Leslie have two children. Kristen (Anton) age 33 received her B.A. 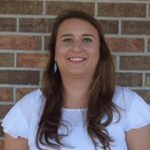 and Masters in Social Work from the University of Alabama and is currently working as a Social Worker for the Coffee County Family Services Center as the Coordinator of parent education and the Coffee County Juvenile Court Redirection Program. David age 29 is a Sergeant in the Army MP Corp at Fort Gordon. David was deployed for a year training Iraqui police, patrolling highways primarily as a machine gunner, and clearing houses of suspected terrorists. Mavis Thomas has practiced in the mental health field since 2006 serving individuals of all ages. Ms. Thomas obtained a Master’s Degree in Psychology and Counseling in 2006, and a Bachelor’s Degree in 2003 from Troy University. 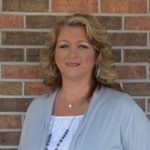 She is licensed through the Alabama Board of Examiners in Counseling. Mavis Thomas’s history of counseling includes facilitating groups of individuals found guilty of domestic violence by the municipal court, facilitating a parenting group, and providing individual counseling to children who were victims of sexual or physical abuse. In addition, Mavis Thomas has been trained to and has conducted forensic interviews in cases of alleged sexual and physical abuse of children. Other mental health settings include outpatient mental health including “on call” duty at an emergency room. Specialty areas include teaching parents sound behavior management skills, working with individuals who manifest symptoms of attention deficit hyperactivity disorder, oppositional defiance disorder, anxiety, and depression disorders. Ms. Thomas serves individuals at Covington Pediatrics (for Covington Pediatric patients only), and at Cosby & Cosby at 109 Medical Park Drive. Mavis Thomas accepts most insurances. Rachel Pridgen began working in the mental health field in 2002 in the intensive residential treatment setting. She obtained her Bachelors in Liberal Studies/Sociology from Arizona State University in 2012 and her Masters in Social Work from the University of Alabama in 2015. 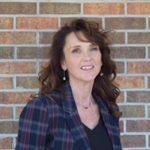 She is licensed through the Board of Social Work Examiners as a Licensed Masters Social Worker and is in the process of obtaining her Licensed Clinical Social Worker certification. Specialty areas include Attention Deficit Hyperactivity Disorders, developmental disorders including Autism Spectrum Disorders, behavioral modification, and educational counseling with experience in goal setting, IEPs, and behavioral plans in the school setting as well as extensive work within the homeschool community. She also works with family reunification and childhood trauma. 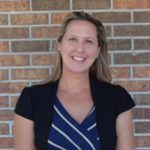 Rachel Pridgen serves children and adolescents on-site at Opp City Schools and at Cosby & Cosby Counseling at 109 Medical Park Drive. She currently accepts Medicaid as well as private pay patients. Alexandra “Alex” Hart is a counselor employed by Cosby & Cosby Counseling and Consultation. Alex obtained a Bachelors of Social Work in 2015 and a Masters of Social Work in 2016 from the University of Alabama. Alex has practiced in intensive residential care and outpatient mental health. 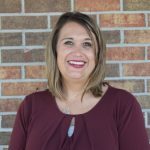 Alex is currently serving children and adolescents in the Andalusia City School system, families and children involved with social services, and at Cosby and Cosby Counseling located at 109 Medical Park Dr. in Andalusia. Alex has been trained in Forensic Interviewing of Children at the National Children’s Advocacy Center in Huntsville, AL. Specialty areas include patients with attention deficit hyperactivity disorder, depression, anxiety, victims of child sexual abuse, and children placed in foster care. Alex accepts Medicaid and private pay patients. 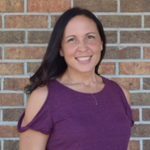 Summer LoDuca is a mental health therapist in Brewton, Alabama where she specializes in treating children and adolescents. She is a graduate of the University of Florida and Liberty University where she earned a Masters in Professional Counseling. Summer has worked extensively with ADHD, behavioral issues, anxiety, and depression. Summer serves pediatrics patients at Brewton Pediatrics located at 1121 Belleville Ave.
Beverly is the Business Manager and Office Administrator for Cosby and Cosby at the Covington Pediatrics Office and the office located at 109 Medical Park Dr.
Office Administrator for Cosby and Cosby at the Medical Park Dr office and the Brewton Office.